Fashion is a $1 trillion global industry. Thanks to globalization and digital innovations, it is now moving online and has become the driving force for many luxury brands. Migration to cyberspace has started, the territory is vast and is up for grabs. Let’s have a look at some innovative ways to spend on fashion and how retailers are finding their niche in cyberspace. These luxury e-commerce sites offer hundred of designers straight from the fashions shows and available for pre-order. Basically, before the collection hits the stores you can be a happy owner of a haute couture item. It is, of course, for serious fashionistas, confident women, who are not afraid to drop several thousand of dollars on an item they haven’t even tried on. Well this is the future of fashion and the proof to that are millions of dollars raised to service these sites. They already show an enormous growth and the expansion is just an inevitable fact. 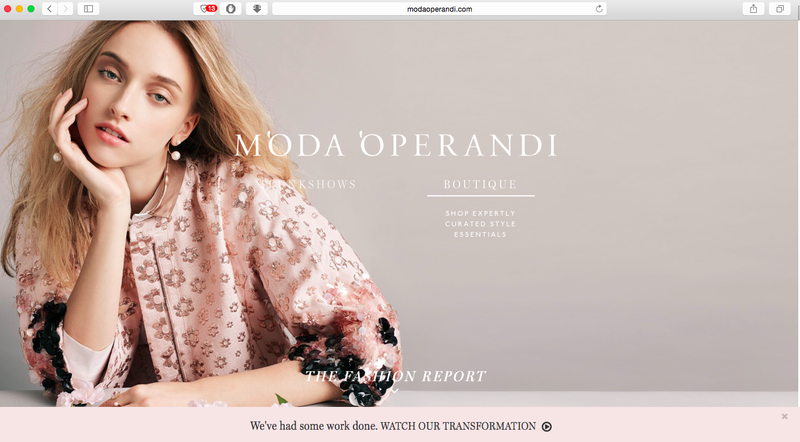 Moda Operandi, for example, offers a personal stylists services, VIP loyalty program, and Vintage pieces from an iconic fashion houses. Aiming higher — to the highest-end retail experience out there. PreCouture.com claims that they have an expert eye on the fashion and emerging trends, as they focus on the cult designers, such as Alexander Wang, Matthew Williamson and Carven. Buying things you see on the catwalk before anybody else can be exiting and expensive, but if you want to be noticed, staying ahead of the trends is a must. Both sites operate in the principle of a trunk show, the sales are for limited time, usually for ten days. The focus is on impeccable customer service and that’s no-brainer, as an average order ranges between $5,000 and $7,000. As the business continues to expand, it spills over to mobile and all of the above is now available on your very-smart phones, just download the apps! If you like this, please read more blogs about cool online shops, next!